New Delhi: Madhya Pradesh’s commercial capital Indore has been leading the Swachh Bharat Abhiyan (Clean India Campaign) since the inception of the movement in 2014. From constructing toilets and ensuring cleanliness and basic amenities in them to practising waste segregation at source, door to door waste collection, 100 per cent waste treatment and generating fuel from waste, Indore has been setting examples for cities and states to follow. The swachh efforts of the city have always been appreciated and paid off with the city achieving ‘India’s Cleanest City’ title for three years in a row as part of the Swachh Surveskhan. The project is being undertaken on a pilot basis for three months and if all goes well, we will extend it to all the colonies in the city. 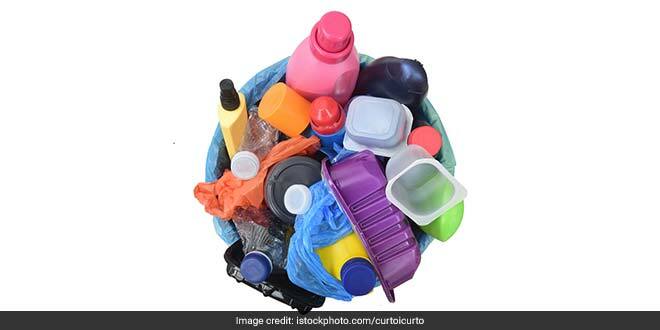 From plastic carry bags, milk pouches, water bottles, discarded buckets, mugs, tetra-packs, pens, to plastic packaging, residents can collect any and all kinds of plastic and plastic materials. In return of the plastic waste, residents will be paid by IMC. We are still at the assessment stage as in analysing the cost of the project which involves ragpickers who will pick plastic waste from your doorstep, NGOs engaged in waste management under IMC and then the treatment of collected plastic. First month, we won’t pay anything to the users and later plastic will be purchased at Rs. 2 per kg. We might or might not increase the price, it depends on the value of plastic we get, said Mr Warsi. Initially, plastic waste will be collected from residents bi-weekly and gradually it will happen weekly. According to the present waste collection process in Indore, plastic is collected with dry waste and from there it goes to a material recovery facility. At the material recovery facility, dry waste is divided into different categories like paper, cardboard, plastic, metal, and others. Today, the city processes and treats close to 100 tonnes of plastic on a daily basis. The plastic waste is converted into plastic pellets, a raw material for any plastic product. Some amount of plastic waste is being converted into diesel as well. Currently, the treatment plant processes 8 tonnes of plastic every day and generates 3,500 litres of diesel on a daily basis.